Things are happening in the Beaverton Community Band. With a greater emphasis now placed on community outreach and involvement, the band is organizing small ensembles to fill community needs and increase performance opportunities. 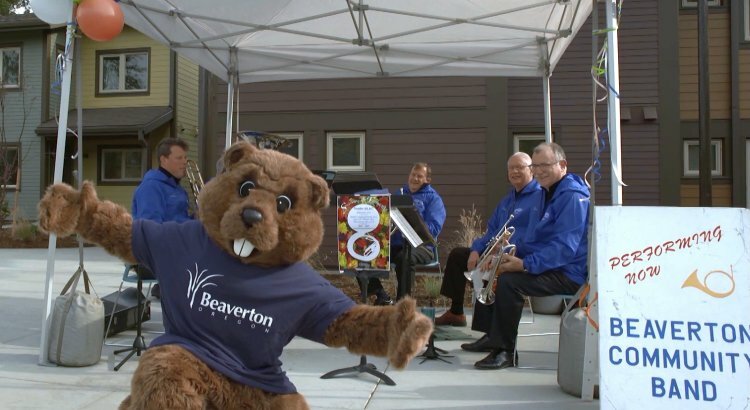 Recently the Beaverton Community Band Brass 5 opened the new Beaverton neighborhood Bridge Meadows with Beaverton’s own Billie the Beaver. In the Quintet besides Billie is BJ Bruce, Ken Williamson, John Webster, Rich Lovgren, Mayne Mihacsi.